This woman rebuilds people’s faces by designing and 3D printing state of the art implants #Biohacking « Adafruit Industries – Makers, hackers, artists, designers and engineers! A new digital job created at a Swansea hospital is thought to be the first of its kind in the NHS. The biomedical 3D technician at Morriston Hospital will help surgeons at Morriston Hospital carry out intricate facial reconstruction surgery. Health board bosses say Heather Goodrum is the first person to be appointed to the role at any NHS hospital carrying out maxillofacial surgery – the treatment of injuries and diseases affecting the mouth, jaws, face, head and neck. Other centres are now looking to follow suit and have asked Morriston for guidance. Heather could have used her skills to specialise in facial reconstructions from skulls, in the same way that Richard III’s face was reconstructed after his skull was found during the archaeological excavation of a Leicester car park. Alternatively she could have worked with police, drawing faces for e-fits based on witness descriptions. 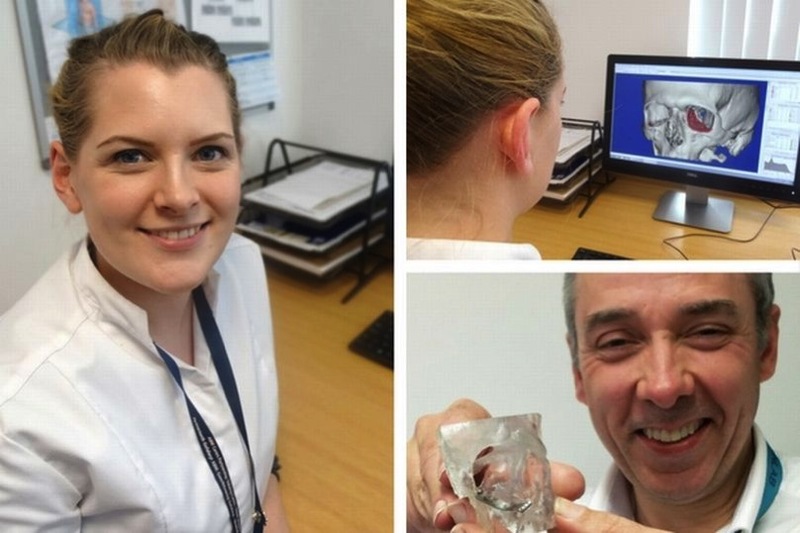 Instead Heather helps maxillofacial consultants plan reconstruction surgery, designing implants and cutting guides which are 3D printed once they have been approved. The implants and cutting guides are designed using the patient’s own CT images. The highly accurate designs save theatre time. Heather did her BA Hons degree in theatre design at Nottingham Trent University, where she developed an interest in digital design and 3D software for the stage.